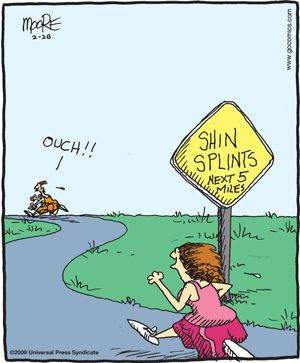 Shin splints generally start because of the irritation to the tissue around your shins from the actual contact and strike when you hit the ground. How ever you run the smoothest is what I would consider best. Personally the only time I get hip pain is over use or dehydration of which both cause something similar too or actual bursitis. Shin splints can be caused by a number of factors working in combination. 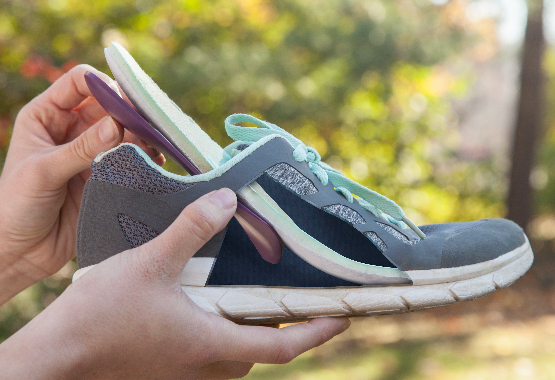 Overuse is one of the most common causes of shin splints. Exercising too hard or trying to exercise beyond your current level of fitness can strain muscles, tendons, bones and joints.